Flowers For A Small Cut Flower Patch. 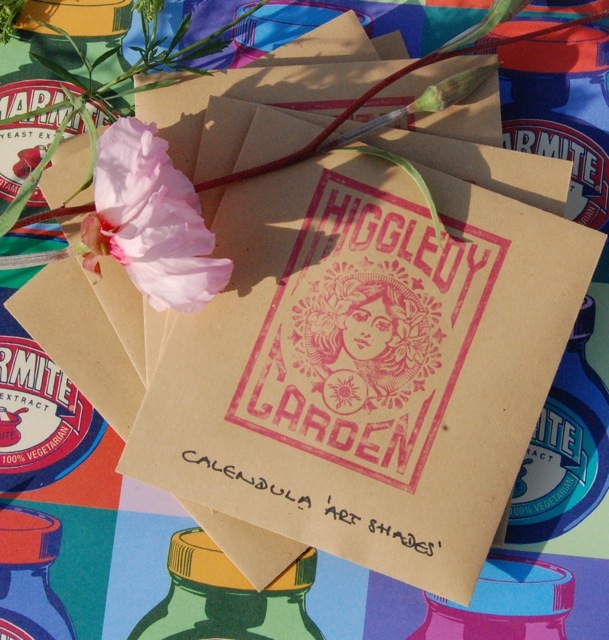 The Super Famous Hand Stamped And Written ‘Higgledy Garden’ seed packets. 100% compostable and 100% rock & roll. Not everyone has the space for big juicy cut flower patch with dozens of varieties and wide sweeping paths. If you are one of these folk than you can still have a cut flower garden…oh yes indeed my friends…all is not lost. Productivity is the key here…you need what we call, ‘Cut & Come Again’ flowers. When you cut these you don’t take them right down to the ground but rather to just above a leaf node. (where leaves meet the stem) This allows the plant to produce not one…oh no no…but TWO new stems and within a couple of weeks you will have more flowers to harvest. So from even a small patch of say 4 metres by 2 metres you could have one square metre of each of the following varieties and have BUCKETS of flowers ALL summer long. For most flowers you will get nine plants per square metre. Even in a patch half this size you can grow a good deal of flowers for the vase…or why not team up with a friend and divide the seeds? Preparing Cut Flower Beds. How To Grow Cleome From Seed.